Thank you for your help with the SCINTILLATE tour. All the books in the series are FREE with Kindle Unlimited. 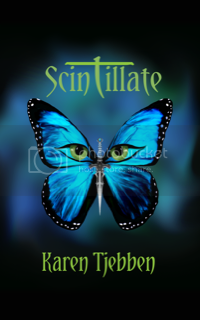 SYMBIOSIS is the second book in the SCINTILLATE SERIES. Haunting visions of the past plague Kate. In an effort to maintain harmony within her relationships, she tries to hide the knowledge the dreams reveal to her. Eventually, when the façade that she’s so carefully crafted begins to unravel, Kate realizes that the past has no boundaries, and it has stained her soul. It is then that the truth finally sets her free. SYNCHRONICITY is the final book in the SCINTILLATE SERIES. While honing Kate’s Asteri powers, Kate and Alex delve deeper into their relationship as they untangle Kate from Sarah’s past. Zoe and Evan are entrusted with the task of destroying a magical ring and finding a cure for a poison that threatens their existence, and Nick is determined to free Hayden from the monster that imprisons her. You're very welcome! :) Always happy to help out!